Chalfi Miriam (c. 1917-2002, b. Poland) A sculptor and poet. Graduated with honors from the Academy of Art in Mexico City. Studied sculpture in Israel with Rudolf Lehmann and Dov Feigin‏. 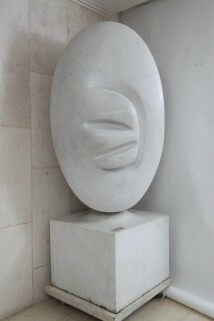 Her works were included at the exhibition “Eighty Years of Sculpture in Israel” at the Israel Museum, Jerusalem. In 2016 her artworks were shown in a solo exhibition in the Herzliya Museum of Contemporary Art.